We understand why you drive. 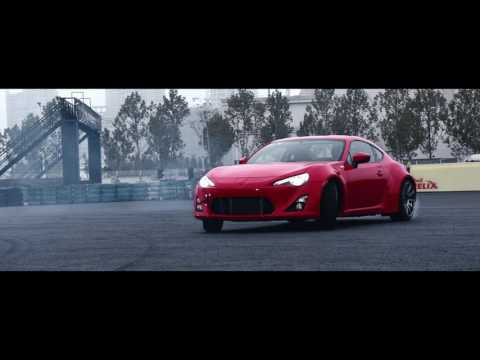 Whatever you drive for the sound, the drift or the up-hill battle, we understand your passion for driving. That’s why Shell Helix Fully Synthetic Motor Oils are made from natural gas and designed for ultimate engine performance, so you can keep your passion for driving alive and Drive On. Description: Shell Helix Ultra with PurePlus technology is designed to help your car’s engine perform its best, even in extreme conditions. Here, we see Shell uses acoustic levitation technology to visualize the extreme conditions within an engine and gain a tangible real time view of oil performance. Disclaimer: Professional Driver. Closed Road. Do not attempt. How does your motor oil cope with the extreme high temperature inside your engine? To answer this question Shell uses acoustic levitation technology to visualize the extreme conditions within your engine and gain a tangible real time view of oil performance. It’s clear to see that the Shell base oil with PurePlus technology achieves superior volatility and oxidation performance. Shell PurePlus technology derived from natural gas creates a pure base oil with stronger molecular bonds. And this means that Helix Ultra with PurePlus technology stays stronger for longer protecting your engine and helping to achieve ultimate performance from your car. Description: Shell Helix Fully Synthetics are designed for all types of challenging conditions that put your car’s engine under extreme stress. 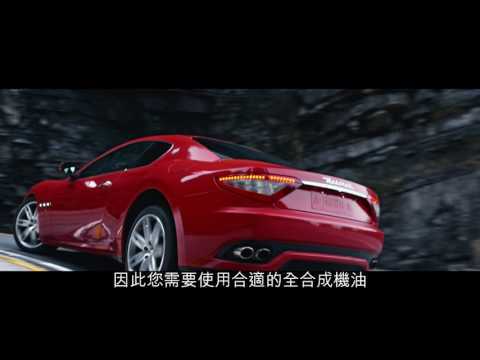 Here, we see a Maserati ascending up the Tianmen Mountain. There is a 360 video camera attached to the bonnet, which provides a 360 view. Visual: We open with a Shell Helix Synthetic Motor Oils title card. Copy: Pecten and Shell Helix Logo. Disclaimer: Professional Driver. Closed Circuit. Video featuring BMW works driver, Augusto Farfus talking to Shell about the vital role Shell Helix Ultra with PurePlus technology plays on the track. The scene opens with a Low angle shot of the BMW DTM Motorsports car parked on the racetrack, facing the camera. Augusto Farfus walks up towards the left hand side of the car, holding his helmet in full race suit gear. No background music accompanying the scene but just real time audio of Augusto Farfus’ footsteps and the surrounding sounds. Car in seen driving down the race track. Initially in slow motion the car then sped up to normal speed. This scene is split into two short clips, capturing the different angles of the car driving along the track. 1 - Front angle of the car 2 – car is filmed coming from right to left zooming towards the camera. The Camera is peeking over the race track bumpers. Operatic strings play dramatically. The transition between the slow motion movement of the car to normal sped is in sync with the change in tempo of the background music. As a racecar driver, we all look about performance. Camera comes in from left to right at a front facing angle and follows the car as it drives along the track. The tempo changes and the music is overall energetic. Car filmed in slow motion then speeds up to normal speed as it drives around the bend when the music changes. But performance is irrelevant if the engine doesn’t last, if you cannot keep the performance for a long period. Augusto Farfus is seen inside, facing the camera wearing his BMW Driving Experience Shell racing jacket. To his left is the Shell Helix Ultra, to which he is slightly leaning towards. Farfus is introduced to the scene with a Tagline positioned to his lower right that reads: Augusto Farfus (in red), BMW Works Driver (in grey). Car seen driving around a right hand bend towards the camera. Lubricants used by BWM Motorsports will differ to road vehicle products, but share the same technology with those available to everyday motorists. Roar of the BMW motor is heard over the music, which is played energetically and quietly in the background. Every single detail, every single component in the engine has to last for the entire year - But more than last, has to keep the performance. The car is seen coming around a tight right hand bend towards the camera. You need to reduce friction. Car coming carefully around a tight bend. You need to reduce your consumption, in order to run less fuel for a longer time. Zoomed in left hand shot of the Shell Helix Ultra oil seen being poured. The music is played energetically and quietly in the background. Specifically in DTM where you have a high performance engine, we’re using the Shell Helix Ultra because it gives us the performance along the entire year. Augusto Farfus leans and poses casually on the BMW race car’s front right wheeled. He is shown wearing a full racing suit and rests his helmet on this thighs, gripping it with both his hands. Scene changes to a close up of Farfus holding the Shell Helix Ultra with his right hand, which is positioned on right side of the screen. The background focuses on the Shell Helix logo and the Shell decal on the right side of the BMW car. Shell Helix Ultra with PurePlus Technology logo is seen at the center of a white screen. Directly underneath the logo at the bottom of the screen is the www.shell.com/pureplus link in red. The music is played louder and continues at an energetically tempo with an abrupt end. Shows the Shell logo with the copyright Shell international 2015 tag in grey at the bottom.